Keep your gas tank at least half full to prevent your gas line from freezing. Avoid using your parking brake in snowy, rainy and wet conditions. If it gets particularly cold, the brake can freeze in place. Carry an emergency road kit. Your kit should include a snow scraper, shovel, gloves, flashlight and batteries, warning flares, jumper cables, water, food, extra clothing, first-aid supplies, a bag of cat litter or sand, basic tools, and a mobile phone and charger. Don’t warm up a vehicle in a garage or other enclosed space. Share your travel plans, especially if you’re traveling through isolated areas. Let someone know where you’re going and when you expect to return. Check your tire pressure and tread depth. Having the right pressure and traction in winter weather is a must. Don’t mix radial tires with other types of tires. Ensure the battery is working properly. Check all cable connections and make sure there’s no corrosion on the terminals. You may want to replace the battery if you haven’t done so in the last three to five years. Check that all your lights are clean, bright and working properly. This includes your headlights, brake lights and turn signals. If your plastic lens headlights are dull or don’t provide enough light, consider a Headlight Restoration. Have your vehicle inspected. Take the time to service your car before a road trip, especially if you’re close to scheduled maintenance. Stopping distances are significantly longer on snow, ice and wet pavement, so increase your following distance from the 3-4 seconds recommended for dry roads to 8-10 seconds. Drive in the lane that has been most recently cleared and avoid making turns through areas with built-up snow. Don’t use cruise control on slippery surfaces. Brake gently; don’t pump the brake pedal. If you find yourself in a skid, don’t panic. Look and gently steer in the direction you want the front of the car to go. Watch for frost. Cold night time temperatures can lead to frost on vehicles and on the roads. Slow down or brake gently when approaching bridges or overpasses, where frost is more prone to accumulate and create hazardous conditions. Also watch for shaded areas that could create black ice, especially during early morning or late night hours. \n \n\nSafe travels — and Happy Holidays — from all of us at Oil Can Henry’s! Antifreeze. Over time, antifreeze breaks down and loses its ability to protect your engine against corrosion. If it has been diluted by water, it can lose its freeze and overheat protection. Check your vehicle manufacturer’s maintenance schedule and replace the antifreeze when it’s due. At the very least, have the freeze protection checked. Battery. It’s a good idea to carry jumper cables, but it makes sense to check the condition of your battery and replace it if needed. Also check the battery terminals and cables to ensure the connection is tight and remove any corrosion. Belts. Check your drive belts for cracks or fraying. Many of the newer multi-rib serpentine belts don’t show obvious signs of wear, so it’s best to replace them at the mileage recommended by the vehicle manufacturer. Headlights. About 80% of driving decisions are based on visibility. So, make sure both headlights are operational and providing sufficient light. If a headlight is burned out, replace it. If your vehicle has acrylic headlight lenses that have become hazy or yellowed, have them cleared with a Headlight Restoration service to increase visibility and light output. Hoses. Check your cooling system hoses for cracks or leaks and for loose clamps. Oil. Use the proper oil for your vehicle and follow the oil change schedule recommended by your vehicle’s manufacturer. Using the incorrect cold weather viscosity can decrease gas mileage and cause excessive engine wear during startup. Tires. Check the condition and pressure of your tires. Improperly inflated tires are unsafe and can reduce fuel economy. Windshield Wash. If you live in a cold climate, make sure your windshield wash fluid doesn’t freeze by switching to a winterized fluid that provides freeze protection appropriate to your area. Wiper Blades. Wiper blades wear out, so consider replacing them every six months or as needed. \nYou can do all of this yourself, or you can visit your local Oil Can Henry’s, relax in the comfort of your vehicle and enjoy a complimentary newspaper as our trained technicians take care of it for you.\n\nMost Oil Can Henry’s service centers provide a free battery test as part of your service. Need a new battery? We proudly sell and install quality Interstate Batteries.\n\nAs part of your oil change service, most Oil Can Henry’s service centers will also test the condition of your antifreeze to ensure it’s adequately protecting your engine. If it’s time for new antifreeze ask about our Cooling System Flush, which replaces 100% of the old antifreeze. A radiator drain and fill, in comparison, replaces just a fraction of the old fluid.\n\nSafe motoring this winter from your friends at Oil Can Henry’s! Brrr… It’s Cold Out There! Is Your Vehicle Winterized? Battery. It’s a good idea to carry jumper cables, but it makes a lot more sense to check the condition of your battery and replace it if needed. Coolant. 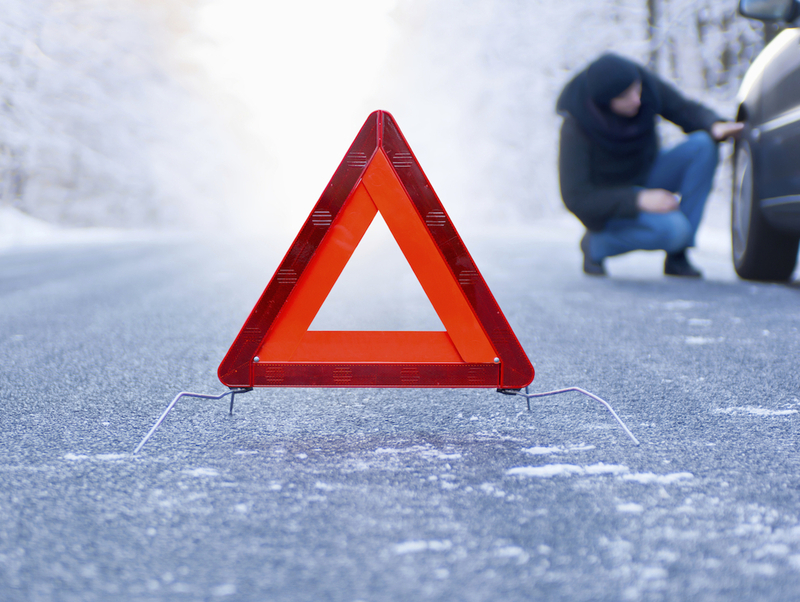 Over time, coolant breaks down and loses its ability to protect your engine against freezing and overheating. Headlights. About 80% of driving decisions are based on visibility. So, make sure both headlights are operational and providing sufficient light. If a headlight is burned out, replace it. Oil. Use the proper oil for your vehicle and follow the oil change schedule recommended by your vehicle’s manufacturer. Wiper Blades. Wiper blades wear out, so Fix recommends changing them every six months and, if you live in a cold climate, using winter blades this time of year.